I’m all for firsts. 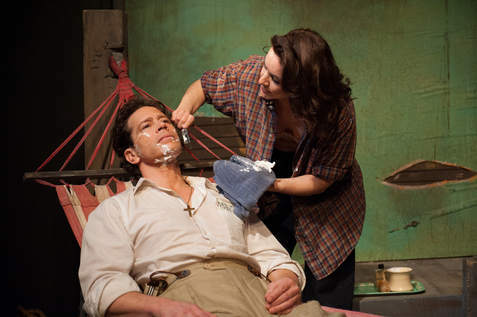 And Artistic Home’s very solid production of Tennessee Williams’ The Night of the Iguana presented a whole world of them. It was my first time seeing any iteration of this classic Williams play, my first time seeing this well-established, small-yet-mighty ensemble, and it was the ensemble’s first production in their impressive new storefront space. Overall, I’d say the combination proved a triumph of firsts.